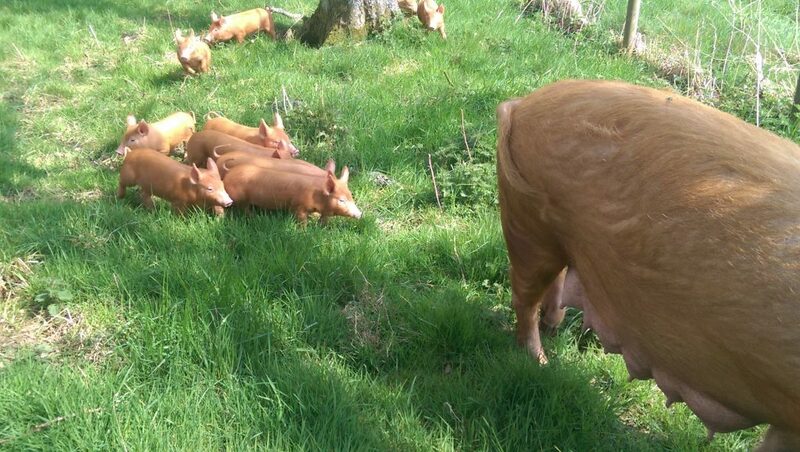 After enjoying the comforts of the farrowing shed for a few weeks, it was finally time for the latest litter to move outside to the woods. This is mostly because they are getting a bit more adventurous now with more interest in exploring but also so that they can get used to electric fencing. This doesn’t take long and normally within a day or so they learn to keep a safe distance. 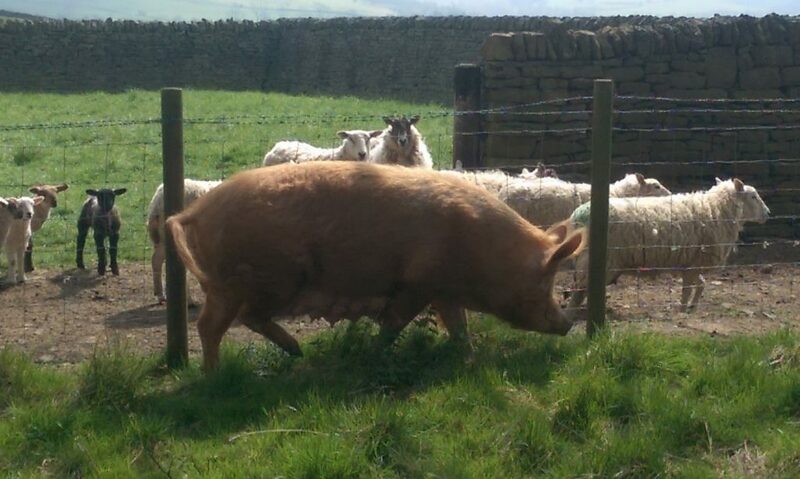 The journey isn’t very far but there is always the potential for disaster with moving pigs because it’s just not possible to make a pig do something or go somewhere if it really doesn’t want to. 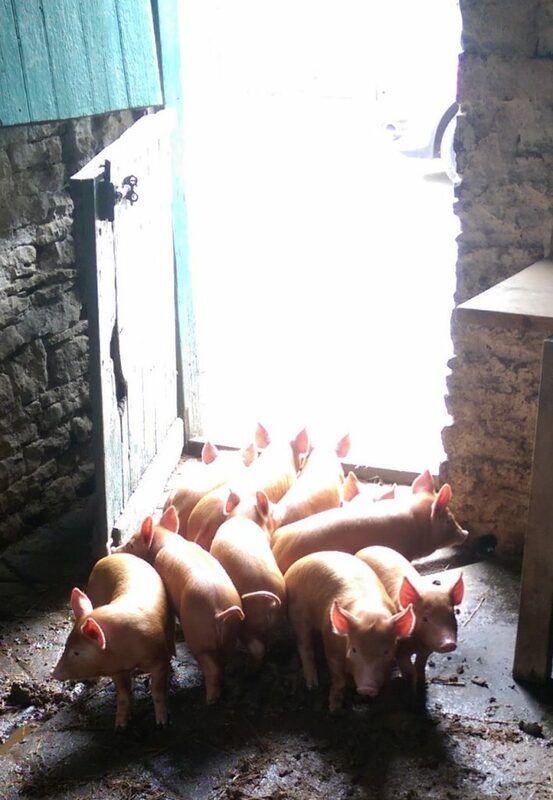 As usual the first problem was getting the piglets to cross the threshold for the first time, this wasn’t helped by the fact that Esther decided to just wander off on her own without waiting for them! Luckily we have fairly well-behaved pigs so, after a few minutes of minor panic (on our part) and some chasing of piglets in circles, both the mother and litter were safely outside and on their way through the woods to their new pen. Once through the last gate they just need to be guided through the opening in the electric fencing but as usual a bucket of feed works wonders. After that the mother and litter were free to explore their new surroundings, meet the big kids next door and eventually settle in to their new quarters with loads of fresh straw.